No one should ever go into classical music to get rich, though some are talented and lucky enough, eventually, to do so. "Bach was employed by courts and churches, who worked him like a slave. Handel was a freelancer who went bankrupt several times before his comfortable old age. Haydn spent most of his career composing for one aristocratic family with whom he had the status of a servant. Mozart lived independently [of such patronage] but had to perform and teach for much of his income. Beethoven received support from the aristocracy and early in his career was a keyboard virtuoso. Schubert mostly lived off friends. For much of his life, Wagner existed largely by extracting funds and services from admirers, tradespeople and King Ludwig of Bavaria, and slipped out of town when creditors caught up with him. Robert Schumann had a small inheritance supplemented by paid positions, journalism and Clara's performing. 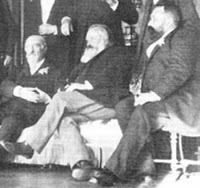 "None of those composers earned so extravagantly from publishing their works as Brahms did, and none except Wagner, in his fifties, reached the position Brahms reached in his thirties – composing what he wanted, when he wanted, prospering without ever accepting a commission to write a piece. 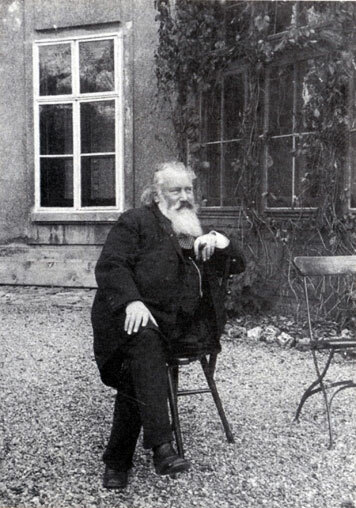 By Brahms' time, a living like that had been made at least conceivable by the enormous growth of the audience for classical music and the tens of thousands of pianos in bourgeois parlors, all of them requiring material from light to heavy." I'm not sure a “composers' union” would have brought about anything comparable to the protection of the working class, the institution of at least a minimum wage or to having health and retirement benefits, but I was also reminded of a story I'd heard a living composer tell an audience about how much he earned from his music. 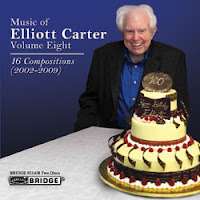 It was back in the late-'70s when I was living in New York City and I attended a pre-concert talk, possibly a panel discussion, in which Elliott Carter (then pushing 70) mentioned that the one work of his that brought in the most income for him was his Variations for Orchestra, mostly from European concerts and radio broadcasts (he made a sly reference to the fact – even then – how unlikely it would be for an American classical radio station to air it). He mentioned how much the commission from the Louisville Symphony had been and how long it took him to compose it, completing it in 1955 after having sketched at it since 1953. He figured – given the time spent on it and the amount he was paid to write it – he was basically being paid something like $0.25 an hour. I don't recall exactly – the point is, it wasn't much money, even then. This post is part of my pre-concert talk given at GretnaMusic's September 3rd concert with the Cleveland Classical Players' performance of two clarinet quintets – Mozart & Weber – with Frank Cohen, principal clarinetist of the Cleveland Orchestra since 1976. Update: interestingly, Concertante will be performing Mozart's Quintet and a quintet by Anton Stadler on the first program of their new season - 8pm, Friday Sept. 24th at the Rose Lehrman Center, Harrisburg Area Community College - along with Messiaen's Quartet for the End of Time. We often tend to think of music “in a vacuum” and sometimes even listen to it that way. It's easy to forget that real people wrote this music for real people to play – that what we consider “Art” was once the result of a human being not very different from us (except for this... talent) who for some reason decided to compose this piece we're listening to. There is one very important connection between the two clarinet quintets on this evening's program, as it happens – and it's a family relation. 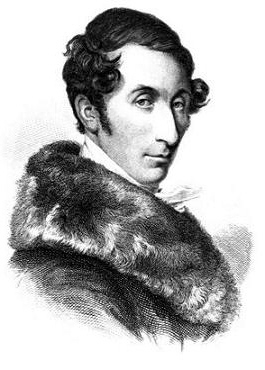 Carl Maria von Weber's father was Franz Anton von Weber (a poor military officer turned musician & opera impresario who had no real legitimate claims to the 'von' in his name). Franz Anton was the half-brother of Fridolin Weber, a bass who sang and worked as a copyist & prompter at various opera houses, especially in Munich where he raised four daughters, all trained as singers. One of them, Josefa, went on to become a famous soprano who would create the role of the Queen of the Night in Mozart's “The Magic Flute.” Another of Fridolin's daughters, Constanze, married Mozart – so, since she was a cousin of Carl Maria von Weber, that would make Wolfgang Amadeus Mozart and Carl Maria von Weber cousins-by-marriage. Because when Weber was 12, Genovefa brought him to Salzburg to study with another Salzburg court musician, Michael Haydn (younger brother of Franz Josef) who had been a colleague and friend of Mozart's and his father Leopold's. But during that time, she died suddenly of tuberculosis and, to help out her family, Constanze offered to have her buried in the Mozart family grave. Now, a quick word about this grave. Mozart died in Vienna where laws about burial practices were different – it was considered modern and ecological, given the limited amount of ground space available for cemeteries. Everybody except the aristocracy was buried in unmarked graves with 'economy coffins' to save on wood, a practice which gave rise to reports of Mozart's burial in an unmarked pauper's grave. Then, after a certain number of years, these graves were dug up, the skulls placed in crypts under the church and the rest of the bones reburied along the cemetery walls so that new bodies could be buried and... well, processed. This was not the situation in Salzburg where the Mozart family had a small vault at St. Sebastian's. Now, you may remember that Leopold Mozart was violently opposed to his son's marriage to Constanze – he was convinced the whole Weber family was a pack of thieves out to steal the potential fortune his brilliant son would no doubt earn (but failed to do so). Mozart wrote his clarinet quintet in 1789 – the year after Toddler Carl Maria visited the Mozarts in Vienna – and Weber began his in 1811 when he was 25 though, because of a busy schedule and other commitments, it wasn't completed until four years later. So though while only 22 years, basically, separate the two works, the fact one was written 11 years before 1800 and the other one begun 11 years after 1800 makes for a world of difference: for one thing, 1800 is a convenient but arbitrary dividing point between musical styles that had already begun to change toward the end of the 18th Century's Classical Era but would – at least as far as the music that has come down to us in the standard repertoire – change dramatically with the beginning of the 19th Century's Romantic Era. For one thing, Beethoven happened: in 1800, he had finished his first six string quartets and written his first symphony – by 1803, when he wrote the Eroica, we tend to feel music was never the same. Though if you check what most other composers were writing at the time, that's not really the case – they, however, have not survived in the repertoire, most of them: Beethoven did. There are two distinct differences you'll hear in these two quintets, almost back to back – Weber's Quintet is what you might call a “pocket concerto,” a showcase for the clarinet with the accompaniment of a string quartet. Who has the big tunes and much of the spotlight? Who's playing “chuck-chuck-chuck-chuck” accompanimental patterns supporting the melody? Mozart's was a more in-grained work of chamber music and though the clarinet is prominent, it is always “first among equals” (considering in most classical quartets, 2nd Violin and Viola were never equal to the other half anyway). It would be very difficult to add something like a clarinet to a string quartet and make the clarinet subservient. Even when composers would add a piano which is more percussive to the strings' legato sound, the piano, by its legacy as an accompanist in sonatas and trios, can be both soloist and accompanist as well as part of the mix. It's not so easy with a clarinet. Mozart's sound-balance is very difficult to achieve – Weber, in a sense, took the easy way out. The fact that there are only a few great Piano Quintets is also relevant to the idea of the Clarinet Quintet – at least as far as “great music” or recognized standard repertoire is concerned. Compared to the Piano Quintets by Schumann, Brahms, Dvorak and Shostakovich and maybe Cesar Franck (one that should be heard more often) as well as two by Fauré, there are really only two “great” Clarinet Quintets – the Mozart and... the Brahms. Now, Brahms' Quintet is a late work of his – in fact, he'd come out of self-imposed retirement to write it – and ironically, it was composed 100 years after Mozart's death. Not only is it inspired by Mozart's quintet, you could say it's “modeled” after it so closely that, if you were to hear them back-to-back (or side-by-sdie), you would hear similar shapes and textures in the way Brahms opens his, compared to Mozart's opening. In the slow movement, Brahms even uses the same melodic shapes as Mozart's 1st movement opening, the same pitches transposed to a different key, a starting point perhaps but almost as if he were writing an homage. And yet it all sounds very late-Romantic and genuinely Brahms. In a drop-the-needle test with just a few seconds' sound-byte, however, it wouldn't be impossible for some to react quickly and get them confused. In 2008, I heard the world premiere of a clarinet quintet by an American composer who would never be mistaken for either Mozart or Brahms. 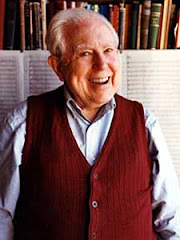 Yet when I heard Elliott Carter talking about this new work of his, he said he first studied the quintets of Mozart and Brahms before he began working on his own. Does that mean it's going to sound like either of them? No, not at all, but there are characteristics of theirs that “inform” Carter's approach to his new piece – the roles the different instruments might play, the ways they combine, in fact the different combinations you can make out of the different instruments. But thinking about the two quintets on tonight's program, I was also thinking about these other two I'd mentioned – the ones by Brahms and Carter. Why are there so few clarinet quintets? What brought these about? I suppose it would be easy to point out that the great piano quintets were for the most part written by pianists: Schumann, even though by then he could no longer play, wrote it for his wife Clara, one of the greatest pianists of the century); Brahms and Shostakovich were fine concert pianists. Other than John Adams, I can't think of any major composer who was a clarinetist. Instead, Mozart, Weber, Brahms and Carter found their inspiration in the playing of great clarinetists. When Mozart wrote his quintet, the clarinet was only a recent addition to the orchestra. Before that, it was primarily found in “dance bands” and hadn't yet evolved into what we know as the clarinet today. 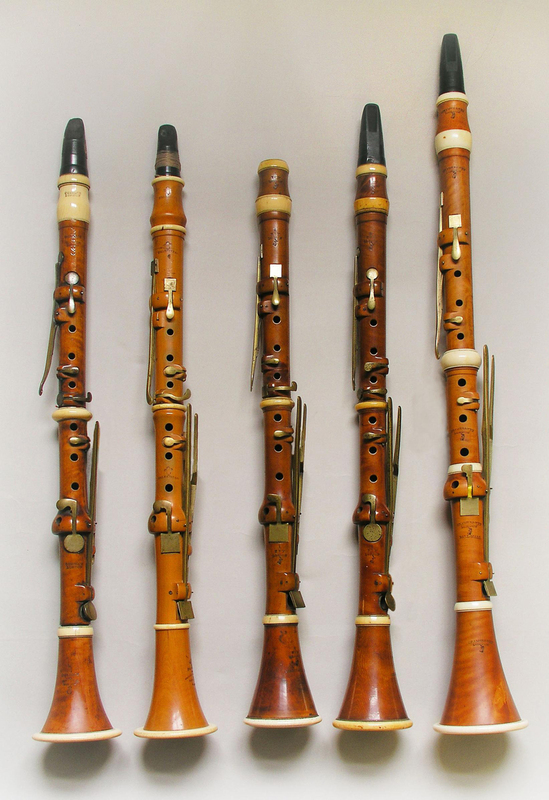 There was an early 17th Century Baroque instrument called the “chalumeau” which had basically just the lower register of a modern clarinet. By expanding its middle and upper registers around 1700, and the sound was so bright, it was called “the little trumpet,” the word 'Clarino' the Italian word for trumpet. Even though the instrument makers soon tamed this hybrid into the mellower sound we're familiar with, it still kept its trumpet-like name. 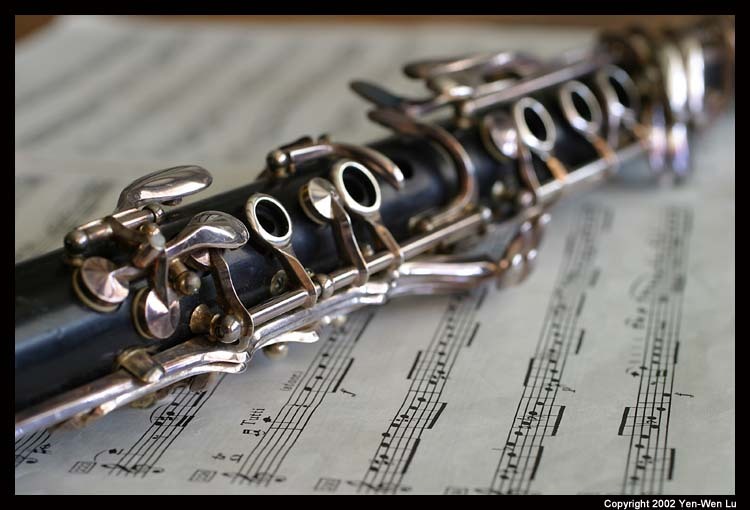 Though it was used in the opera pit, the clarinet was not standard in the orchestra until around 1790. Mozart used it occasionally in his last piano concertos and symphonies. In fact, because Vienna had such fine wind players, the wind writing in these concertos was a remarkable addition to the Mozart Sound. One of those wonderful wind players was a clarinetist named Anton Stadler, one of Mozart's Masonic brothers and a close friend who had arrived in the Imperial capital of Vienna around the same time Mozart did. In the mid-1780s, Mozart was writing music to be played in the home of one of his more affluent friends, the botanist Nicholas Joseph von Jacquin, several pieces involving clarinet and the alto-member of the family, the basset-horn (which is neither a horn nor a dog with big brown eyes). In 1786, not long after he completed “The Marriage of Figaro,” he composed the so-called “Kegelstatt Trio” for clarinet, viola and piano – written to be played at the Jacquins. The piano was played by daughter Frantziska Jacquin (one of Mozart's piano students). Mozart played the viola and Anton Stadler, the clarinet. A few months later, in January of 1787, the Mozarts went to Prague for the triumphant performances there of “The Marriage of Figaro,” traveling with an entourage that included Anton Stadler. It was during these last years of his life that Mozart, dealing with frequent money problems – he was a genius as a composer, but like many, had issues with reality – was borrowing from his masonic brothers, especially the banker Puchberg. But when he had a little money himself, he would help out his friends, if possible, and we know he loaned money to Stadler around the time he was writing the Clarinet Concerto for him in 1791. Stadler, a struggling musician, had borrowed money from Puchberg before and the banker had to sue him for repayment in the mid-1780s. 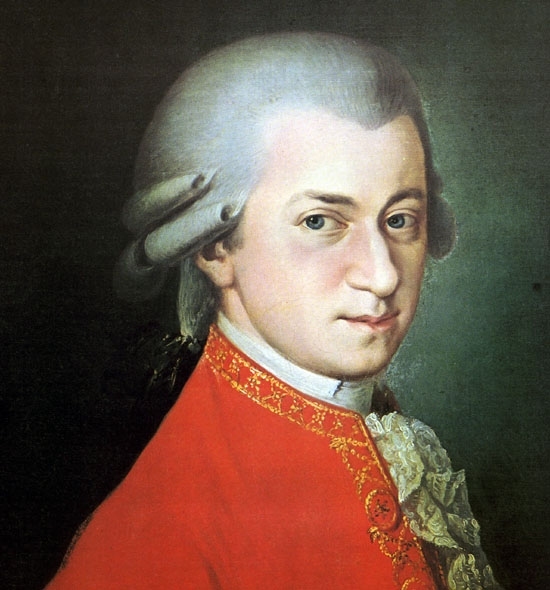 In 1791, there was another trip to Prague, this time for the coronation opera, “La Clemenza di Tito.” Stadler went along as a kind of musical secretary but primarily as a ringer for the orchestra, playing the difficult clarinet part Mozart had envisaged for the opera. The main reason he chose not to stay in Prague professionally had to deal with the lack of a high level of talent there: Prague was, after all, a provincial capital without the international resources and fine players that were available in Vienna. Besides, most of the aristocracy who'd support the arts in Prague spent much of their year living in Vienna, anyway. And so, when Mozart returned from the not quite so satisfying experience with “La Clemenza di Tito” (which the new empress called a “porchería tedesca” or “German swinery”), Mozart composed his Clarinet Concerto for Stadler who then premiered it in Prague on October 16th to great acclaim. Seven weeks later, after the premiere of “The Magic Flute,” Mozart was dead. But Stadler favored his own hybrid version of the not-yet-standardized clarinet, extending the lower end of the range, something now called a Basset-Clarinet. The problem is, this instrument never caught on and when the concerto was eventually published after Mozart's death, someone arranged the part so the lowest notes could be played on the now-standard instrument. Ever the free-lance musician dealing with financial concerns, Stadler eventually pawned the manuscript score he owned, and so without Mozart's original copy, reconstructing it has always been conjecture. But even in the Quintet, listen to how Mozart uses this lower range of the instrument. Stadler was actually the second clarinetist in the imperial court orchestra – his brother Johann played first clarinet – so his position gave him more opportunity to work on the lower register. Was Johann Stadler a better musician because he played 'first'? A contemporary critic wrote of Anton Stadler's playing: “I would not have thought that a clarinet could imitate the human voice so deceptively as you imitate it. Your instrument is so soft, so delicate in tone that no-one who has a heart can resist it." Anton Stadler died in 1812, the year after Carl Maria von Weber, now 22, wrote two clarinet concertos and a concertino – and began a quintet – for clarinetist Heinrich Bärmann who at that time was about 27 years old. They had met in Mannheim while Weber was on a concert tour and he was much impressed with this fine orchestra's fine clarinetist. A few months later, Weber arrived in Munich for some performances at the opera there, and it was arranged for a concert of his music be performed before the music-loving king. It turned out their new clarinetist was Heinrich Bärmann and so in two-weeks' time, Weber quickly composed a short concertino for this performance in April. It was such a success, Weber – in town to write a new opera – composed two full concertos for Bärmann – the first in May, the second in July – and he was at work on a quintet for clarinet and strings when his schedule took him back on the road. It wasn't until four years later that he and Bärmann met up again and so Weber decided to finish the quintet, completing it the night before the concert! By this time, the clarinet had evolved a little further than it had been in Stadler's day: rather than just seven keys and old-fashioned finger-holes, the clarinet now had a more intricate system of keys like the modern instrument which allowed one to play faster and more intricate passages. The works Weber composed for Bärmann joyfully explore this expanded virtuosity. Such music would not have been playable 20 years earlier. 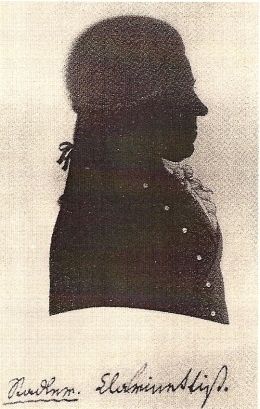 Other composers wrote for Bärmann, as well – Mendelssohn wrote two short concert pieces for clarinet and basset horn for him and his son in exchange for dumpling dinners – while Mendelssohn composed, the Bärmanns cooked, giving new meaning to the expression “Will Write for Food.” Gioacomo Meyerbeer, almost exclusively an opera composer himself, wrote a quintet for him as well as did many lesser lights who are now lucky to be footnotes in the history books. Like most virtuosos of the day, Bärmann composed a few works for himself including one that has long been attributed to the young Richard Wagner. There is a charming connection, now, between Weber and Bärmann – and Brahms. Though Brahms'd confessed he'd tired of the musical rat-race and retired at the age of 57, it was the sound of a clarinet that lured Brahms out of retirement the following year to write, eventually, four works that are masterpieces in the clarinet repertoire – first, in 1891 both the trio with cello and piano and then the quintet, and three years later, the two sonatas. And all because he'd first heard Richard Mühlfeld play Weber's F Minor Clarinet Concerto which had been written only because Weber was fascinated by Heinrich Bärmann's playing. To the late 20th Century, now... back in the '80s, I remember visiting a friend of mine in upstate Manhattan and listening to his next-door neighbor, a young clarinetist who had just joined the Orpheus Chamber Orchestra. 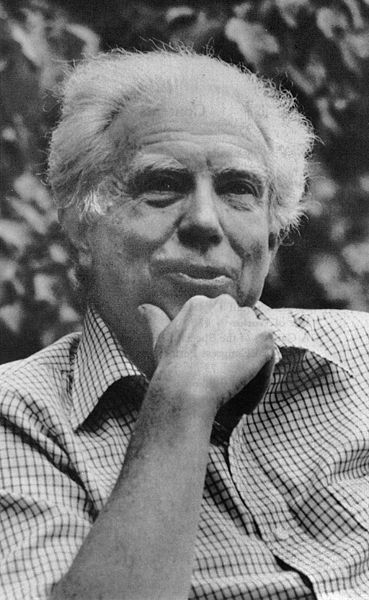 Charles Neidich was playing Weber. He would later teach at Juilliard and become one of the most prominent clarinetists in the country. Unfortunately, I wasn't inspired to compose something for him nor would he have been likely to play it, either – but he has played a lot of clarinet music by Elliott Carter including giving the New York Premiere of the concerto Carter had composed in 1996 for Pierre Boulez and his contemporary ensemble in Paris. Hearing Neidich play it cemented a solid musical relationship, as much as a composer in his 90s hangs out with a bunch of performers. He went on to talk about certain technical things a player can do that he as a composer can make use of – one was Neidich's ability to sustain long tones in the low register, something the clarinet can do very well. So there's a section where the strings are playing certain moving figures in the upper register and in the bass are these long sustained tones in the clarinet, some of them stretching out for 20-30 seconds (as an example, check out 4:14 into this clip). 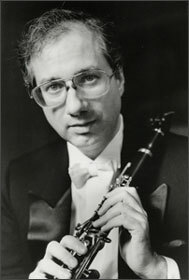 So if another clarinetist who'd be interested in playing the piece can't handle that – what they call “rotary breathing” comes in handy, too – well, then it's just like someone saying “I can't play scales or arpeggios that fast.” It seems like the exact opposite of something flashy but it's a difficult technique and it makes an incredible sound when you hear it. Anyway, those are some points to think about while you're listening to these two clarinet quintets – how the composers came to write them, who they were written for and who first played them – and how these ideas remain practically unchanged in the 220 years or so since Mozart wrote his quintet. We can listen to this music as a work of art to inspire us with its beauty or as something to simply entertain us – but it's also interesting to think of the music as the product of a life, the result of friendships and the relationships that develop between real people, not just notes on a page. It's the performers' responsibility to bring these notes “to life” – and it's ours to receive them and make them part of ours.